I have to admit there is something quite refreshing about a cold beer after a hard mountain bike ride or a long day of hiking. This is particularly true if you are an athlete or outdoor enthusiast in Colorado, where new microbreweries seem to be popping up every week. Every now and then you’ll even hear about studies that find health benefits with moderate drinking and free beers are often included at post race festivities. But do you ever wonder if that post workout brew is hindering your sports performance? While a beer (which is equivalent to a 5 oz glass of wine or 1 oz of hard alcohol) here and there won’t hurt your workouts, if you’re doing it regularly and excessively, there are some potential negative effects. 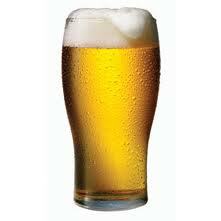 At 7 calories per gram of alcohol it’s easy for the calories from alcoholic beverages to add up. A typical beer has anywhere from 100-150 calories per 12 oz, while some mixed drinks (sorry margarita lovers) can clock in close to 500 calories! These are empty calories too, as they provide virtually no nutrients. It’s no coincidence that you have to use the bathroom more when imbibing. Alcohol is a strong diuretic, meaning your body loses water. Dehydration will definitely affect your sports performance so be sure to drink water when drinking alcohol to help cut your losses. If you’re an endurance athlete you need to be able to use fat efficiently, so not being able to tap into those stores effectively could affect performance. Sleep is an important part of an athlete’s training as a lot of muscle repair occurs during this time. Most athletes need more sleep than the average person, and alcohol can interrupt your deep sleep cycles making recovery more difficult. This may affect protein synthesis and muscle repair. Bottom Line– I’m a big believer in balance and moderation. Sure a beer isn’t the most effective post workout beverage, but life is short so if you like beer it’s okay to enjoy in moderation. So if you just finished a hard race on a hot day, and there is a free beer coupon hanging from your race bib(and your favorite beer just happens to be on tap), I say go for it! Just make sure to drink plenty of water and properly refuel (read: eat carbs and protein) before indulging. Besides potential negative effects on performance, it goes without saying that drinking the night before a hard workout or during intense training cycles is going to make the workouts feel awful and could potentially affect your pereformance. Don’t forget the general alcohol consumption recommendations- no more than 2 drinks a day for men and 1 drink a day for women. I’m a bit of a novice myself. I would suggest starting with a free platform and getting a good base of blogs and followers going before bothering with a paid option.